Quite often builders glue ceramic tile on drywall. In the process, does not arise special problems. Stick the tile on the drywall independently. To do this, just need to have some information. 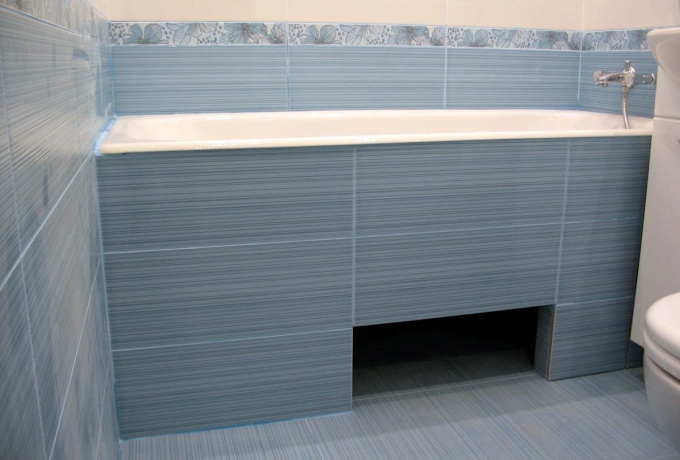 Important role in proper installation of ceramic tiles plays the adhesive used. For this purpose on the market there is a huge range of glue. It is best to choose quality. Special attention should be paid to the surface that will be laid. It should be flat and smooth. The drywall should not have a different kind of damage. Laying drywall is one of the most common methods of laying ceramic tile. This popularity is largely due to the fact that the tiles are easy to lay on the surface. In addition, the tiles in this approach very well kept. Before I do tiling, prosopalgia all joints between sheets of gypsum Board. Do this to ensure that the stability and the integrity of the structure increased. Currently you can purchase a filler, which is specifically designed for joints of gypsum Board. Be sure to get primer all over the surface. You cannot lay tiles on an unprepared surface. Choose a primer from the same manufacturer as the glue, you want to lay ceramic tile. At the moment, experts identify several adhesives. They can be used for laying ceramic tiles on drywall. The most common means is a glue based on cement. It must be applied on a paper basis. It securely bonds the tile to the drywall surface. You can use flexible tile adhesive. It is sold in dry form in a bag, and already prepared in special containers. According to experts, this is the best glue for this kind of surface. He more reliable than others, which, however, affects its value.